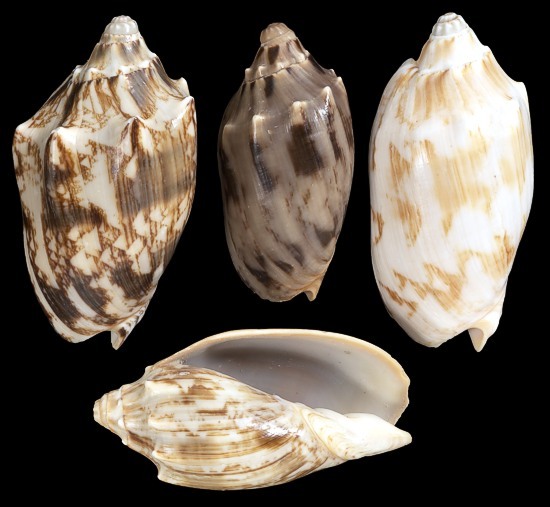 The Voluta Loroisi shell is popular for its color and markings. The shell is found in the Tropical far Eastern Pacific region. 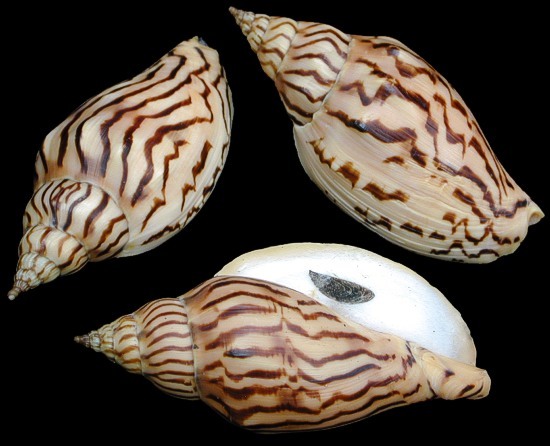 Imperial Volutes are gastropods belonging to the family Volutidae. 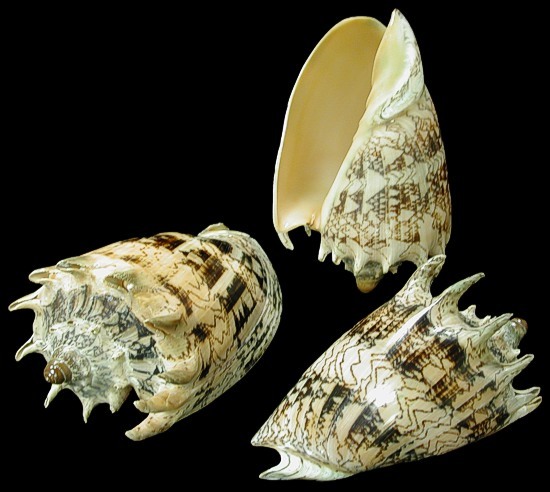 There are more than 200 known species of volute shells. This species is found in the Indo-Pacific region. Bat Volutes are gastropods. Found in the Tropical Indo-Pacific region.